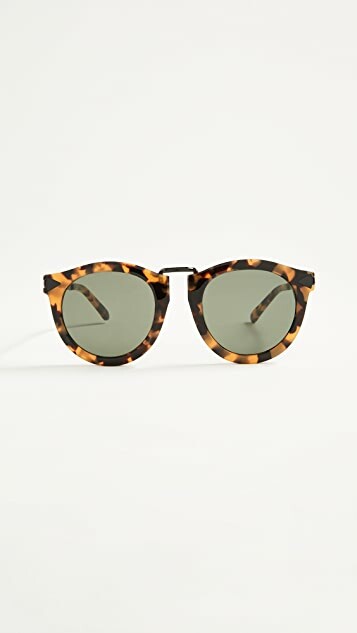 Retro-futuristic sunglasses in a striking mix of tortoiseshell plastic and black metal. Case and cleaning cloth included. Cute and fancy) Love it! 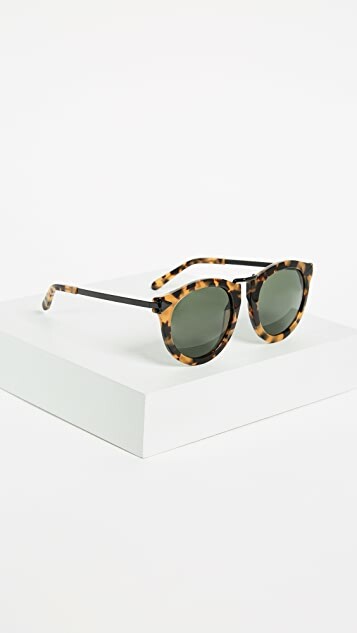 Great pair of sunglasses, great quality, but unfortunately they didn't work for me. It's an odd style around the nose. Nicely fit on most asian noses(lower than others). Absolutely love these. They're so big, have gotten so many compliments! Just Amazing! 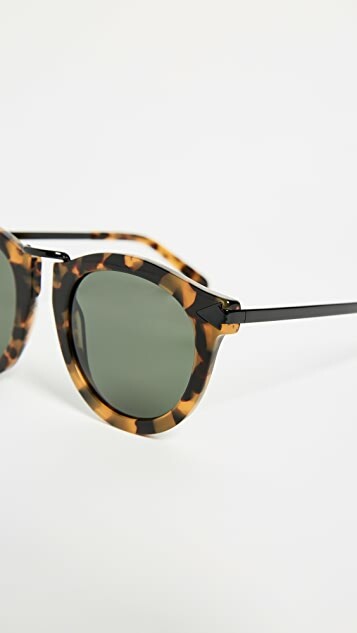 Was debating between these and the SuperRetro glasses but decided on these and glad I did! They are so comfortable, they look great and feel great and the lens color is perfect! Highly recommend!! 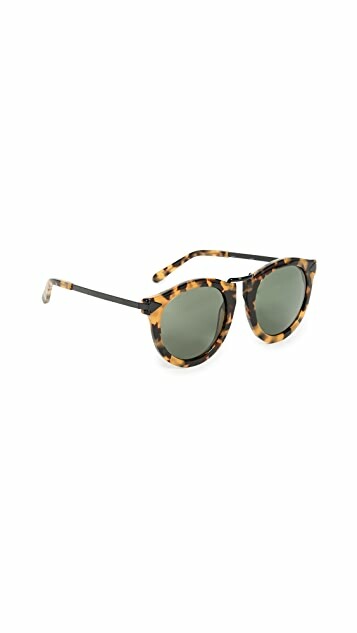 Also very stylish...a must have for sunglass lovers! fashionable and modern! Love it! 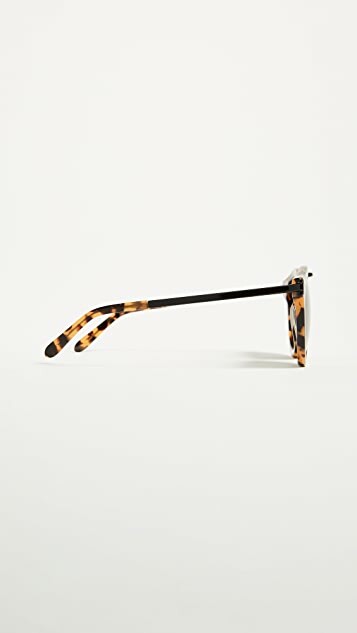 I had to return two pairs of KW Harvest to get a perfect one, the other two had both scratches on them which I could not understand why because the packages were perfect...wondered the quality control of Karen Walker...But finally the pair I got is perfect with no blemish.Turtoise is a beautiful pattern for fall/winter, the weight is just OK for wearing without feeling oppressed against nose, but the pattern is usually unsymmetrical due to handwork, so need some luck to get a good one.I'm considering getting another black Harvest since the frame really goes with Asian faces.